Nowadays, we all sit a little too much. Most of the time we’re planted in front of a computer, working our day away. Geez, sometimes you just need to escape the grind. Right? Lucky for you (and everyone else in Boston), there are lot of awesome yoga studios popping up all around town. Each space offers an opportunity to slow down and clear your mind while breaking a sweat and moving your body. 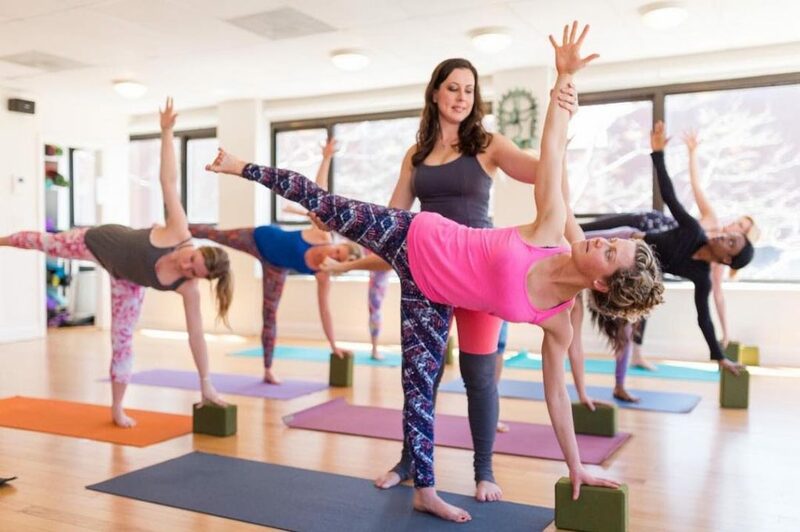 Whether you’re a first-timer or yoga pro searching for a power, gentle, or hot yoga session, you’ll find exactly what you’re looking for and more at these studios in Greater Boston. When someone asks where to go for yoga in this city, YogaWorks (with multiple locations around the city and surrounding areas) the first place that comes to mind. With such a strong team of established yogis, you can expect to find great instructors and an uplifting community. Plus, they offer nearly 70 classes a week in a variety of styles from Black Light Vinyasa and Hip Hop Yoga to Yin, Restore, and Roll. Getting bored here is not in the cards. 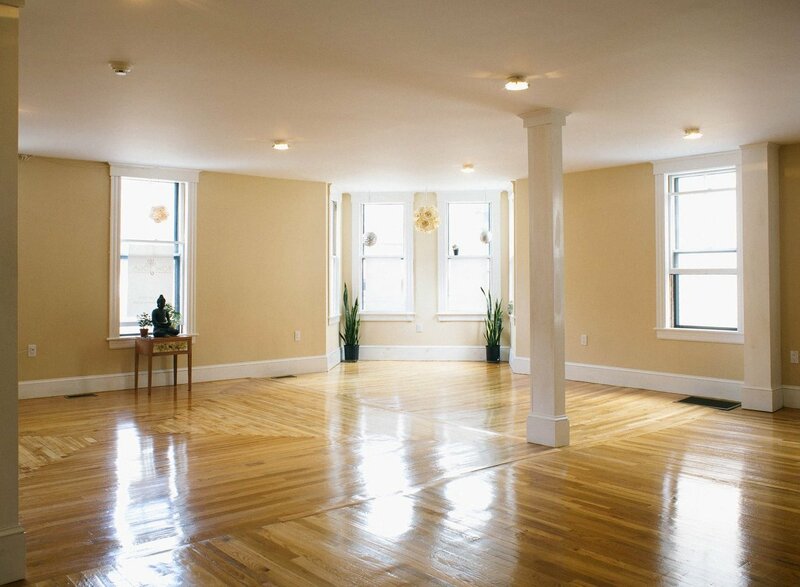 Formerly Sadhana Yoga, you can find Coolidge Yoga‘s two locations on Worcester St. and on Beacon St. This studio is friendly to beginners and experienced yogis alike. With a warm neighborhood feel and classes ranging from FUNdamentals and candlelit Yin yoga to $6 cash-only Vinyasa, you’ll be in good hands. Plus, you can scoop up the new member special — one month of unlimited yoga for just $30. And during the summer, check out their schedule, they regularly host free Yoga in the Park. CorePower Yoga might be a large operation with studios in over 20 states, but their Seaport, Comm Ave, Fenway, South End/Ink Block, and Back Bay (coming soon) locations in Boston still have that local studio feel. But don’t expect a slow flow here — their classes are designed to get your heart pumping, so get ready to sweat. And if you’re across the river, you can visit CorePower’s Cambridge spot at Fresh Pond. 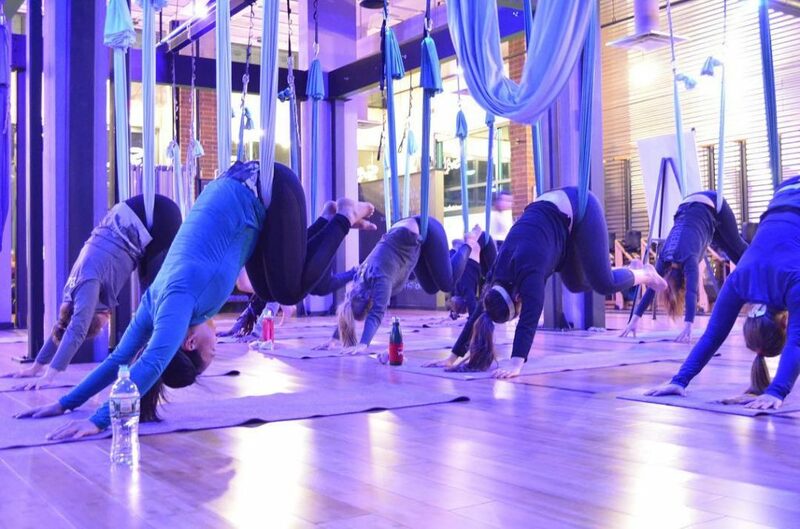 Started by the owners of North End Yoga, this City Square studio is the hip kid in town, and those who’ve tried them out never want to leave. Their practice is rooted in community and the space is so welcoming, you’ll want to move right in. 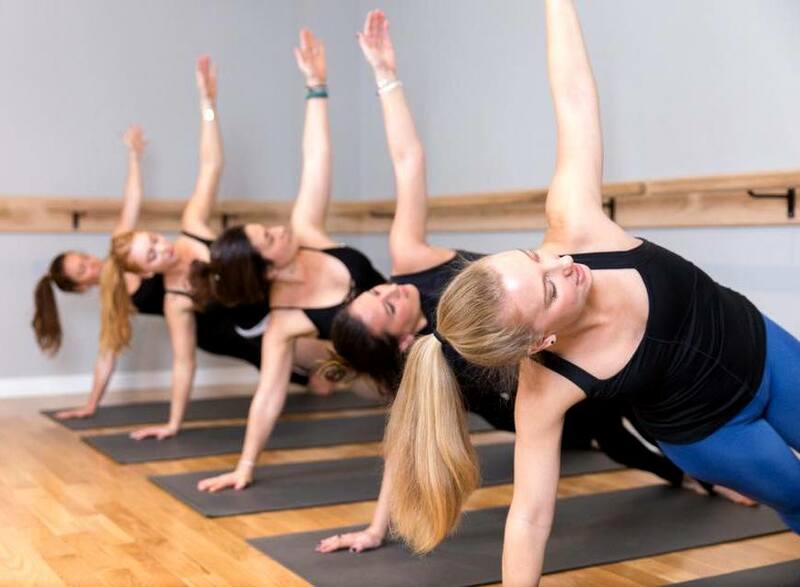 This workout spot is equal parts yoga, barre, and Pilates, and they’re pulling some of Boston’s best instructors from studios across town. 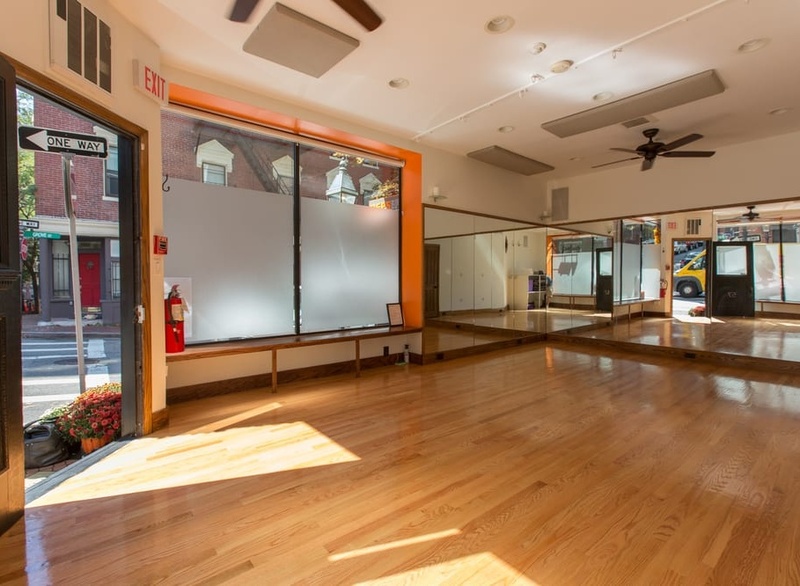 South Boston Yoga is one of the biggest studios in town and and is conveniently situated directly across from the Broadway T stop. You’ll find classes nearly every hour of the day ranging from aerial yoga to hot power yoga to Pilates and foam rolling. Yes, foam rolling. For 60 minutes. It’s a real pain, but your hamstrings will thank you later. 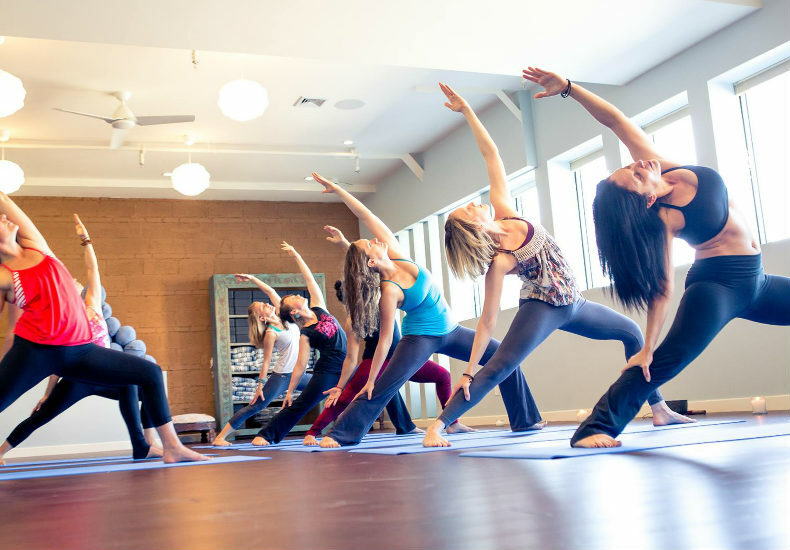 Beacon Hill Yoga is a neighborhood favorite, and judging by the instructors, class variety, and their welcoming vibe — the studio is here to stay. 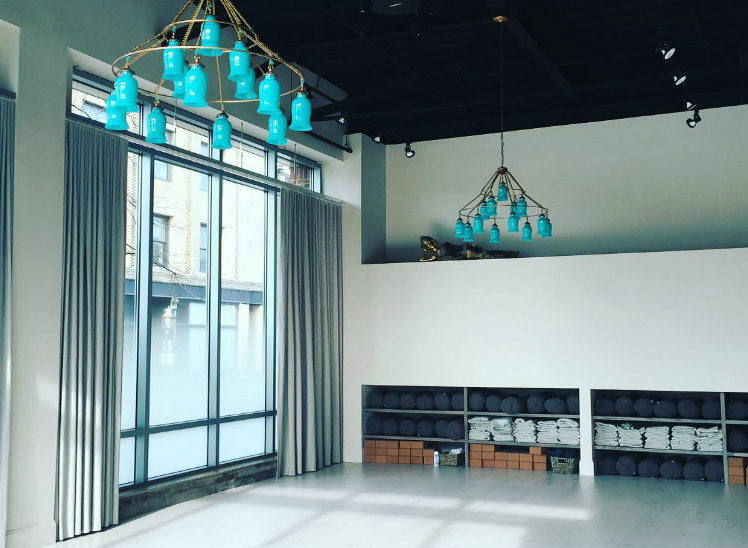 This Phillips St. studios offers classes ranging from all-levels Vinyasa and barre to more restorative flows, so there’s really something for everyone. You can also check out its sister fitness studio, REPS, around the corner when you’re craving a workout with a little more intensity. It’s no secret that you need strength to really succeed in your yoga practice… or any type of workout class for that matter. 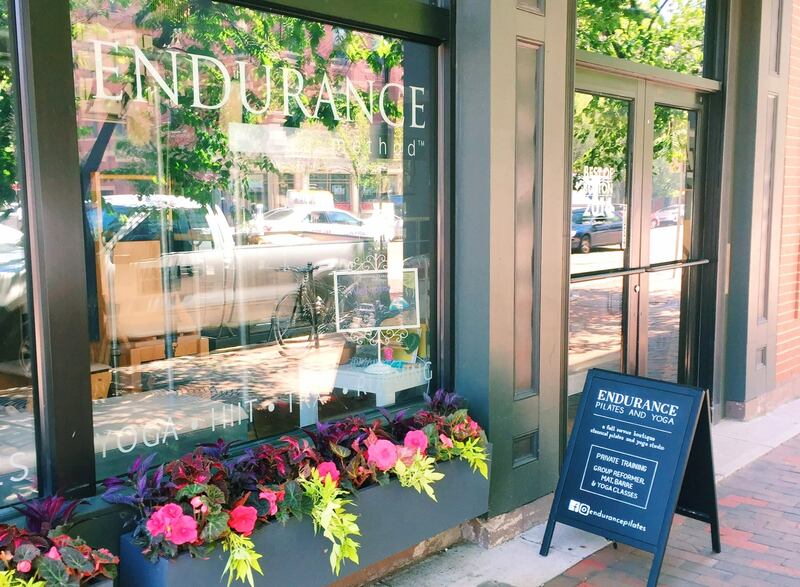 At Endurance Pilates and Yoga on Washington St., it’s all about building up your power — and these classes are no joke. Yes, their yoga is open to all levels, but if you want to try your hand at their Pilates workout, you’ll need to get three intro classes under your belt first before you receive written permission to proceed to the intermediate and advanced levels. Are you up for the challenge? 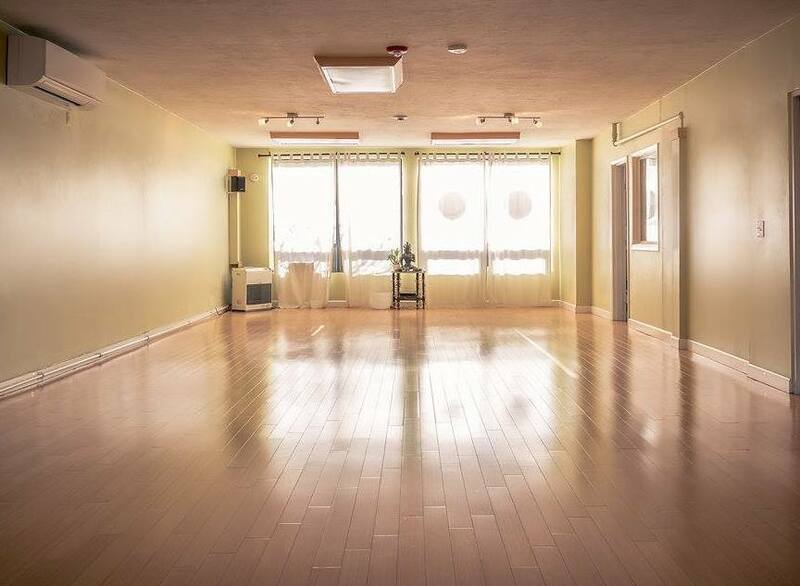 This bright and sunny yoga studio can be found in the heart of Davis Square, Somerville’s biggest hub, and they’re a big part of the local community. Stop into Samara for a classic Vinyasa class or wind down with a restorative session. They also offer special classes with live cello, chakra workshops, and retreats. You may have just found your yoga tribe. 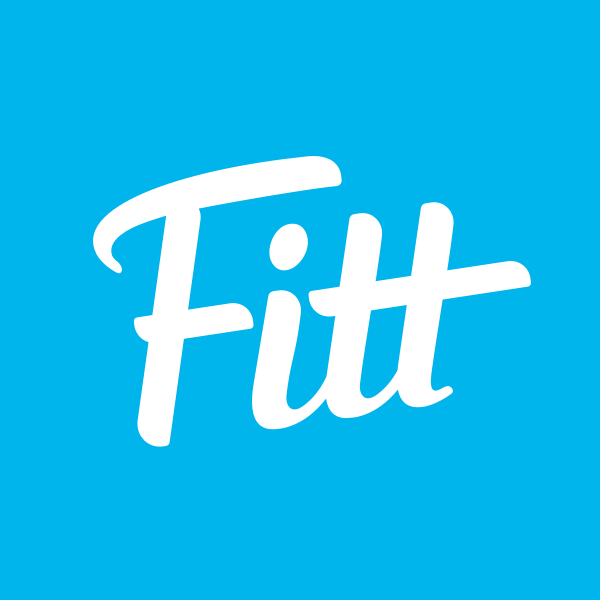 Don’t write this one off as just another fancy gym chain. Exhale has some of the most talented and well-known instructors in the city, and the post-savasana perks alone are worth checking out. Believe us when we say you’ll want live in the locker rooms at their Battery Wharf and Back Bay studios. From showers stocked with high-end products to saunas and a co-ed Turkish Hamam, you’ll find good reason to keep this spot in your rotation. The only downside? A drop-in class is $25. But with all these other wallet-friendly options, go on and treat yo’self every now and then. 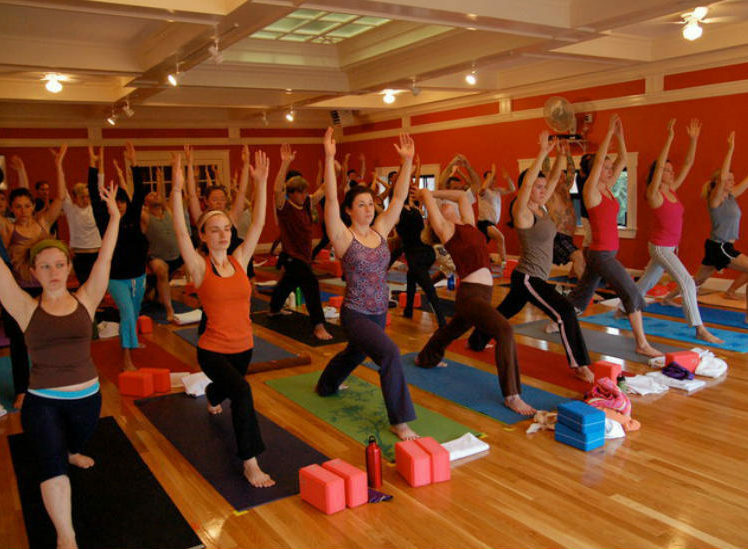 Since some like it hot, so we had to include Bikram Yoga Boston (with a sister studio in Cambridge) on this list. The 90-minute classes at this Back Bay studio are all pretty similar: you’ll practice traditional Hatha yoga poses and breathing techniques in a heated room. But the more you practice, the deeper you can get into your poses. So if you’re looking for a rigorous and challenging flow in Boston, Bikram Yoga is the place to go. Four sisters started Health Yoga Life after being inspired by their mom’s dedication to mediation back in the ’80s — before mindfulness was the buzzword it is today. You’ll find their original digs on Beacon Hill, with a second locale near MIT/Kendall in Cambridge. Classes range from the Vinyasa-based Groove ‘n Flow to the gently-heated Restore ‘n Restart. No matter what practice you choose, you’ll transform yourself from the inside out. Most people describe Down Under Yoga as a more serious studio which only really means you’ll find more intense classes and in-depth workshops at this spot. But that shouldn’t scare the newbies off. Try them out by snagging the Newcomer Special of $30 for 30 days of unlimited yoga. 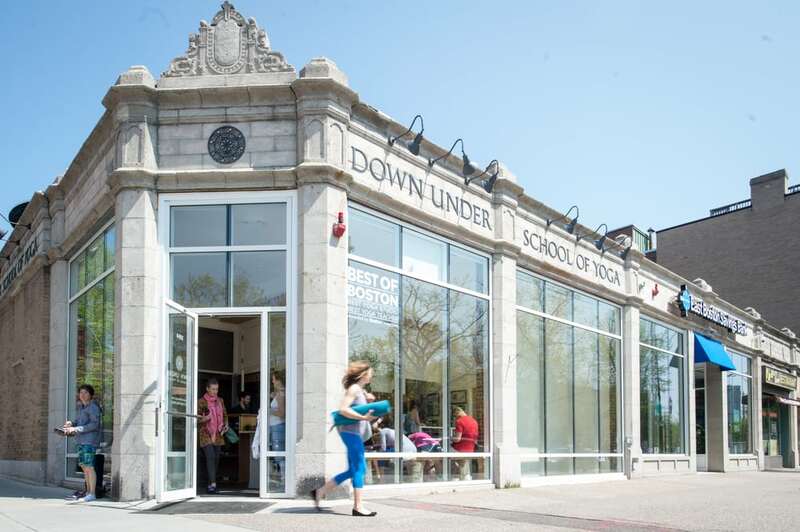 If you love it, deepen your practice at Down Under’s Cambridge or Newton studios, too. 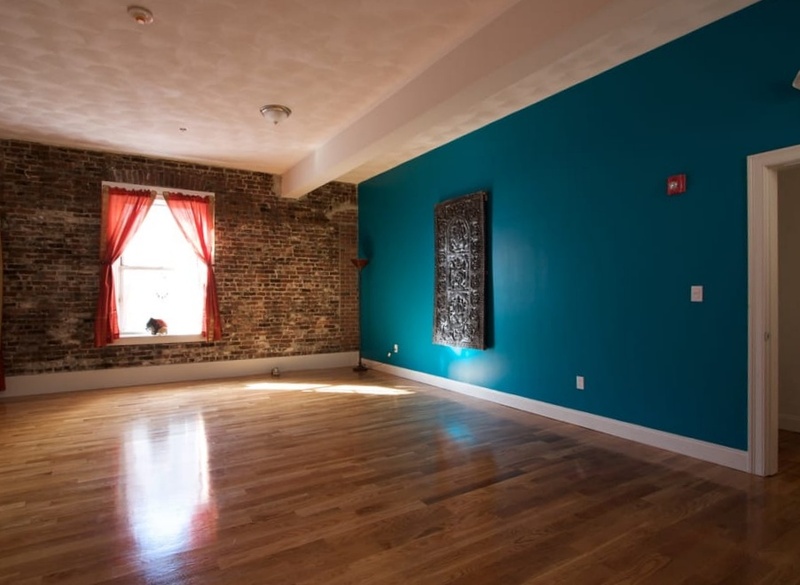 This South Boston studio is dedicated to providing a welcoming, accessible space for anyone who wants to practice yoga. You’ll find everything from mellow Chill Candlelight Yin to Rock N Flow, so there’s a flow for you, whatever your mood. In addition to these classes, Radiant offers special sessions in other languages, for the deaf community, and other groups. East Boston now has its first locally-owned yoga studio thanks to The Point — and that’s something to celebrate! The Point brings yoga, barre, and other wellness classes to Eastie residents who want to get their down dog on right in the neighborhood. Make sure you look out for specials, like outdoor summer mat sessions and $5 pop-up classes. Some yoga studios specialize in one type of yoga, but not Karma. You’ll find a diverse class offering at this Harvard Square studio (with another location in the Back Bay). Unwind with the Friday Yoga Nidra class, the perfect chill sessions after a hectic week. Or, try one of Karma’s Vinyasa, Hatha, or Slow Flow classes. No matter what you pick, your karma’s sure to get a boost. 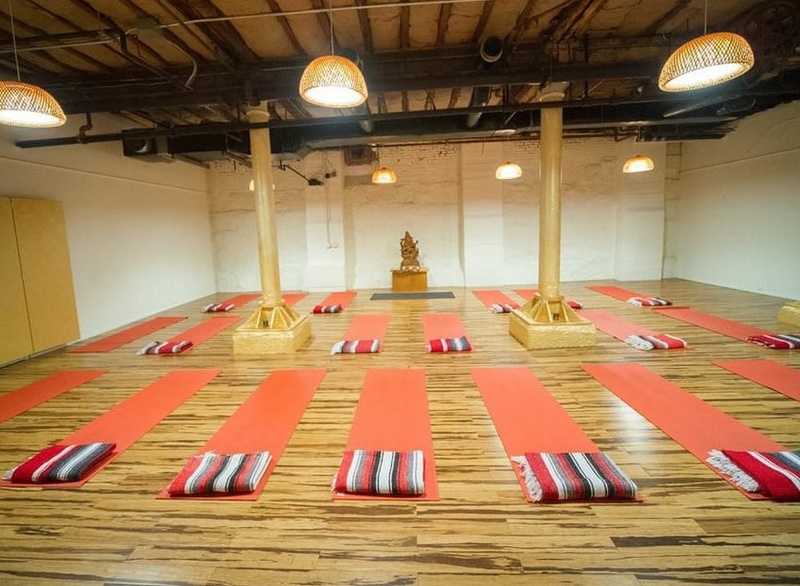 This Union Square yoga studio is so popular, they outgrew their former space above Bloc 11 and now call Somerville Ave. just outside the square home. Most of the classes at be. in Union are taught in rooms heated to between 80-90°, so it’s a good place to get your sweat on. They also offer a range of classes for both beginner and experienced yogis, have a teacher training program, and host retreats to destinations like Mexico. Sign us up! Situated above the hustle of Hanover St., North End Yoga has built a cult-like following in the neighborhood. With three studio rooms, they can offer up to 12 classes a day. Some are rooted in Vinyasa, some more Pilates-based, while others will take you through the Primary Series of Ashtanga yoga. 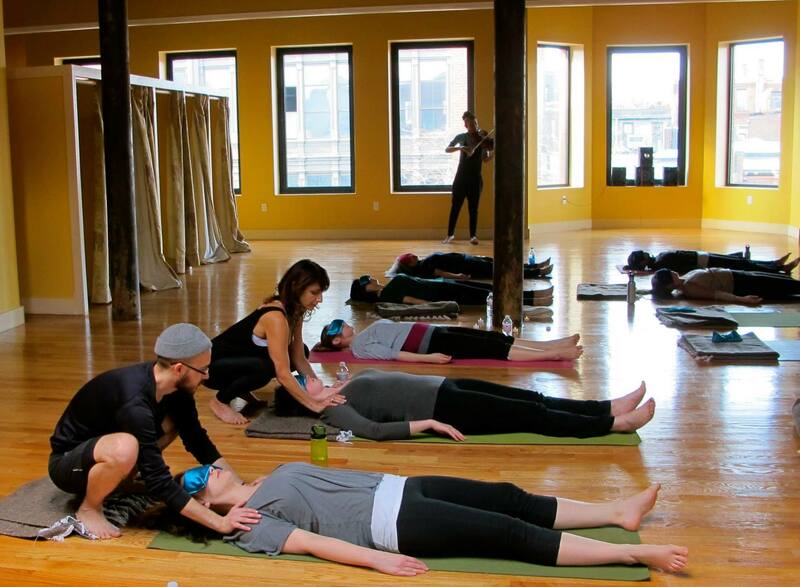 If you aren’t feeling zen enough post savasana, stick around for a massage. Nestled in the heart of Union Square, Bow Street Yoga is a true community gathering space where you’re likely to see your neighbors practicing on the mat next to you. Bow Street’s classes are mostly just called ‘yoga’ and that’s exactly what you’ll get at this welcoming space. The Basics class is a great place to start if you’re new to the workout or coming back to your practice after a time away. Or, maybe you’re looking to relax with a restful Unwind session (note: it works). Ever wish you didn’t have to schlep your yoga gear around all day before your after-work class? Then you’re going to love Some.Yoga.Studio, which provides mats, props, water, and anything else you might need in class. Besides feeling super-pampered, Some.Yoga.Studio’s unique classes like, their Signature Vinyasa Flow and Yoga Werk!, will leave you feeling rejuvenated and refreshed. Want to take your practice to new heights? Look no further — Swet Studio in the South End has you covered. 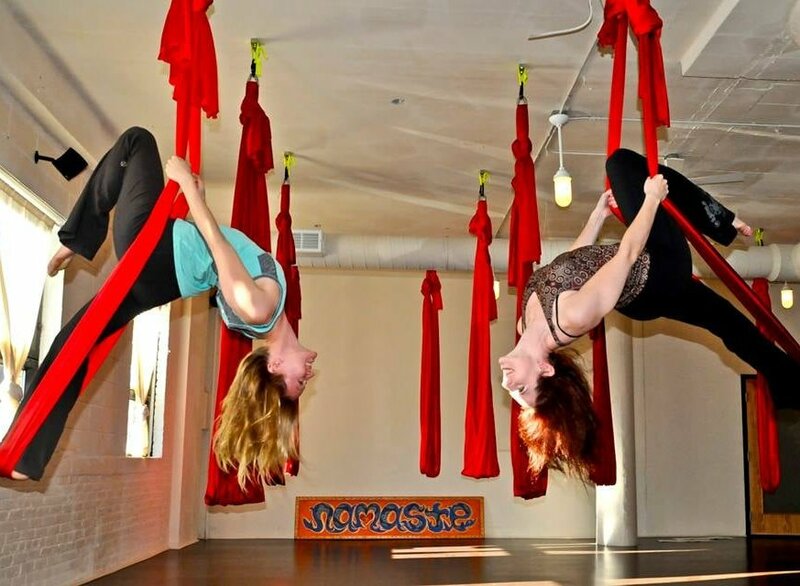 Their aerial yoga classes are perfect for beginners looking to try out a new experience. But if you fall in love with it—which is a strong possibility—you can continue to progress your practice into aerial core, aerial barre, aerial fitness, aerial restore, and more! Check out the intro specials and get yourself snug in a hammock.